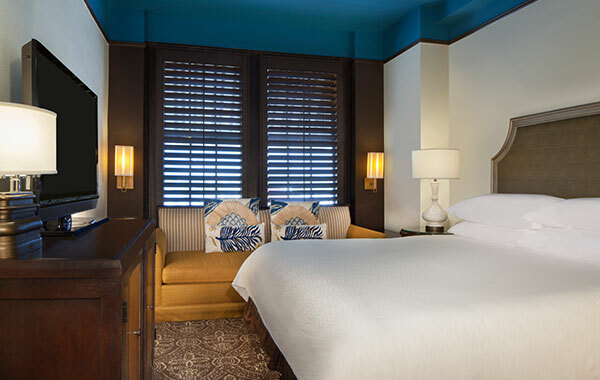 Designed with complete comfort in mind, our contemporary accommodations showcase vibrant, colorful ceilings, dark wood plantation furnishings and coastal inspired window shutters - channeling over 80 decades of Key West history. Relax and find inspiration in a historic setting, where Tennessee Williams finished "A Street Car Named Desire" and Ernest Hemingway began writing "To Have And Have Not". Experience Key West's most vital destination and find your refuge on Duval Street, surrounded in rich history, warmth and comfort. 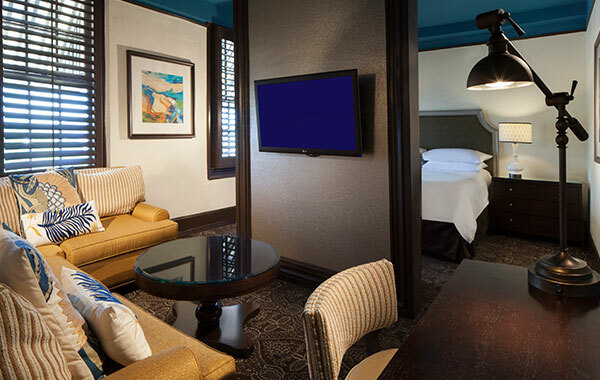 Find your Key West refuge and ease into your stay with a king bed, free Wi-Fi, 42" flat-screen television, mini-refrigerator, and CD player, in this boutique guestroom, which includes all of our standard modern amenities. Perfect for larger groups, these expansive rooms offer two double beds, complimentary Wi-Fi, 42" flat-screen television, mini-refrigerator, bath amenities and CD player, along with all of our standard lodging amenities. 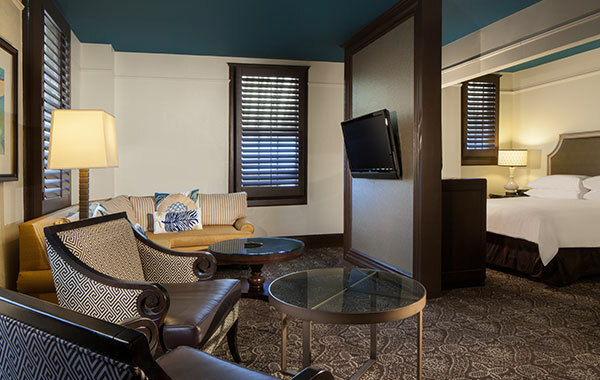 Seek the perfect island inspired retreat in our King Leisure room, which includes complimentary Wi-Fi, 42" flat-screen television, mini-refrigerator, and CD player, along with all of our standard guestroom amenities. 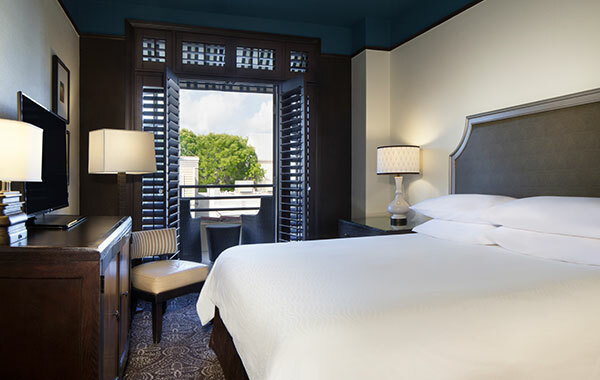 Soak up the Key West sun and cool breeze on your private balcony, and enjoy accommodations including one king bed, complimentary Wi-Fi, 42" flat-screen television, mini-refrigerator, and CD player. 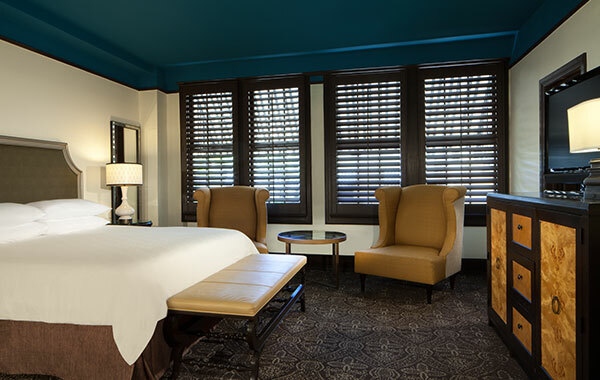 Enjoy extra room to unwind in our charming suite including a king bed, a queen sleeper sofa, sitting area, plush bedding, bath amenities, Wi-Fi, mini-refrigerator, laptop safe, and a 42" flat-screen television. Beautiful views and extra space await in this modern contemporary decorated suite, featuring a sitting area, a queen-size sleeper sofa, and a luxurious king bed, complimentary Wi-Fi, and a private balcony. 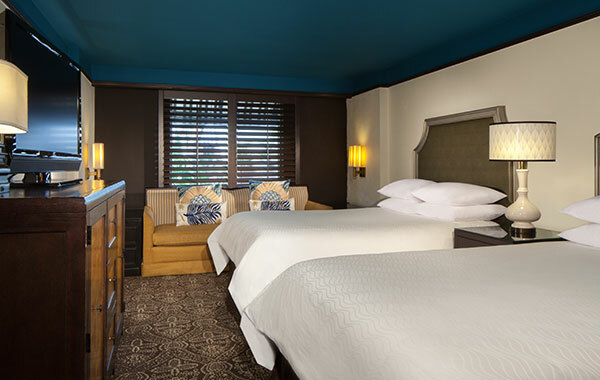 Recharge, rest and stretch out in style with one king bed, one queen sleeper sofa, a large private bedroom, a separate living area with a desk, complimentary Wi-Fi, and a 42" flat-screen television.